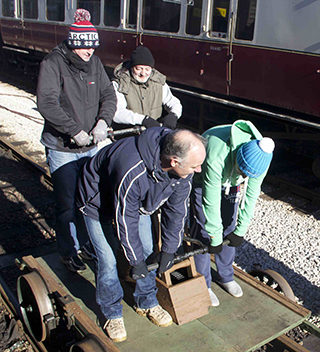 Photos of Saturday’s sponsored pump trolley event at Buckfastleigh station on the SDR. 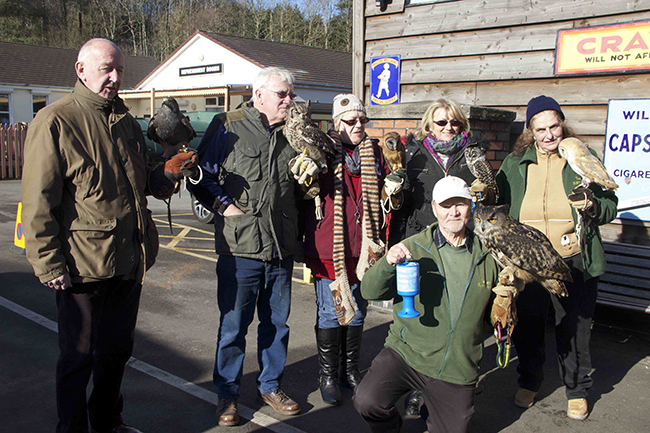 It was in aid of Buckfastleigh Swimming Pool, with all proceeds going to the fund. The day was very successful, with a total of eight teams competing, plus an additional scratch crew from the South Devon. As well as the main event, local fire, police and ambulance vehicles were on display in the station forecourt, and the Torbay Owl & Co group brought a selection of owls, plus a Harris Hawk. The biggest owl was Pete Small’s “Wizard”. 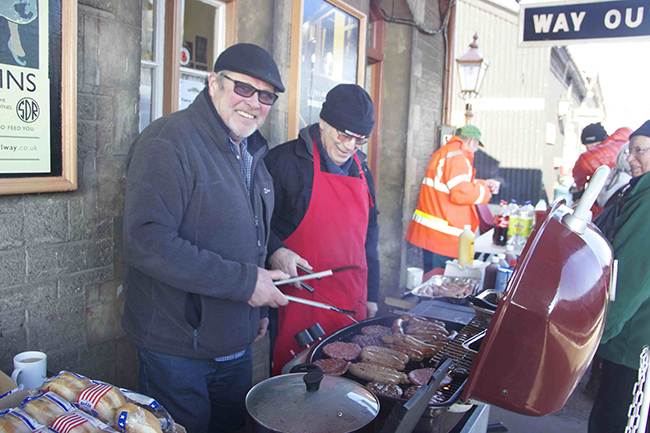 The museum was open, and the Museum and Station Groups jointly sponsored the barbecue, teas and coffees. 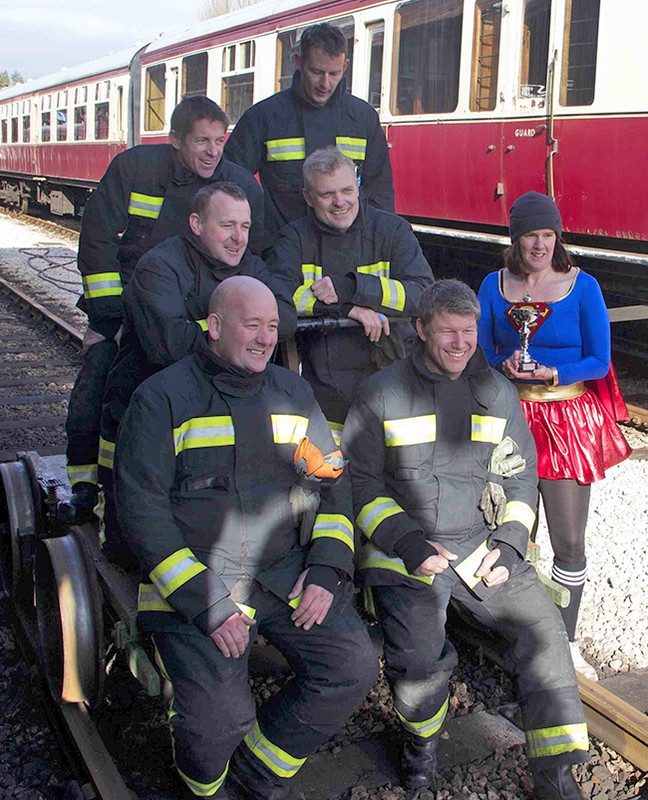 The winning team was Buckfastleigh Fire Station’s White Crew in a time of 4 minutes 29 seconds from mile post 6 at Caddaford to the end of the platform, a shade under a mile so just over 13 mph, mostly up hill ! Overall a great event, very enjoyable for all the participants, organisers and the huge number of local people who turned out to support the event. 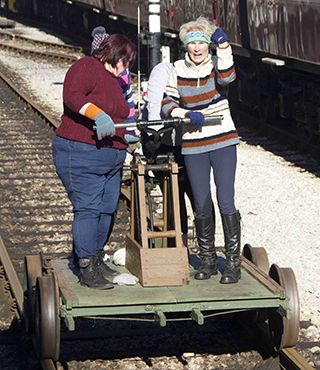 A big Thank You to Clair Stevens for organising it all, and the large number of SDR volunteers and Andy Matthews who made it all work on the day. 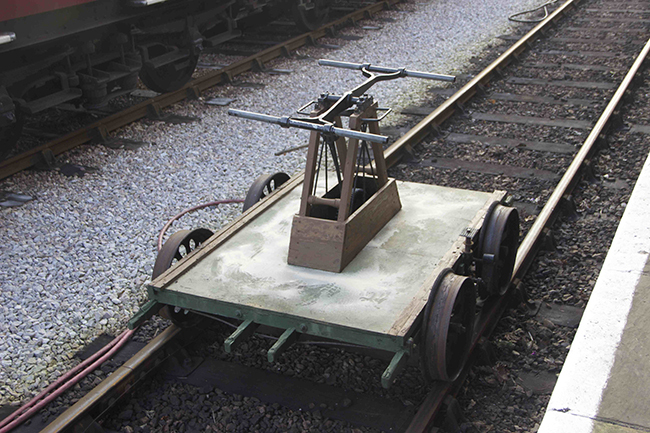 None of it could have happened without the Friday team of volunteers in the running shed, who not only refurbished the pump trolley, but also provided all the materials out of their own pockets. Alasdair Page coordinated events on the track. 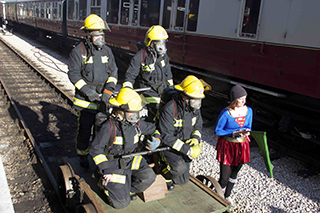 Clair Stevens, the organiser, is pictured in the Red Watch Crew photo, and was also part of the Railway Children team.